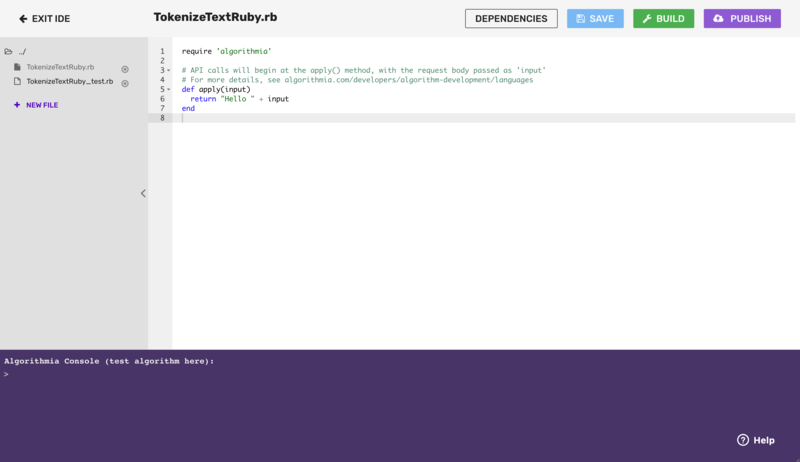 Before you get started learning about Ruby algorithm development, make sure you go through our Getting Started Guide to learn how to create your first algorithm, understand permissions available, versioning, using the CLI, and more. The full Ruby 2.2 language and standard library is available for you to use in your algorithms. Furthermore, algorithms can call other algorithms and manage data on the Algorithmia platform via the Algorithmia Ruby Client. The algorithm we are about to create does not have any dependencies other than algorithmia (which is added by default), but it is important to know how to do this - so for now we’ll add phony just as an example. Note that you will still need to include a require statement to your algorithm file. Note, if the input to your algorithm is a bare string (e.g. "world"), then input.instance_of? String will be true. However, we do not recommend accepting bare strings (JSON-encoded Objects are preferable), so we’ll return an error message in that case. 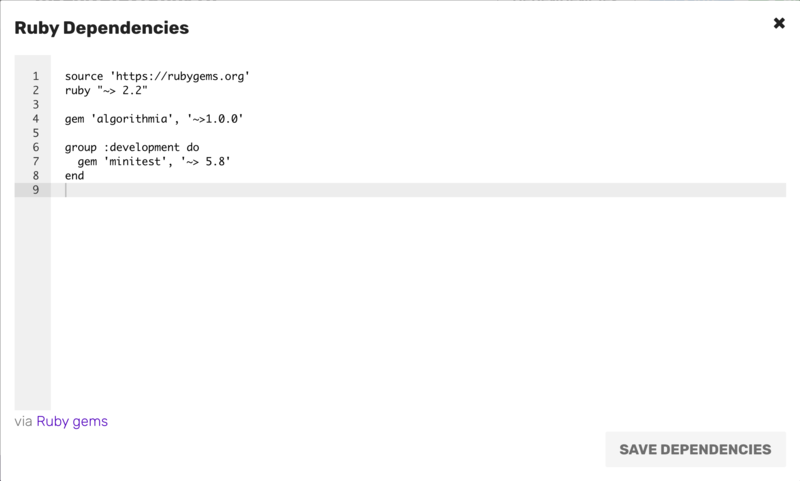 To call other algorithms or manage data from your algorithm, use the Algorithmia Ruby Client which is automatically available to any algorithm you create on the Algorithmia platform. 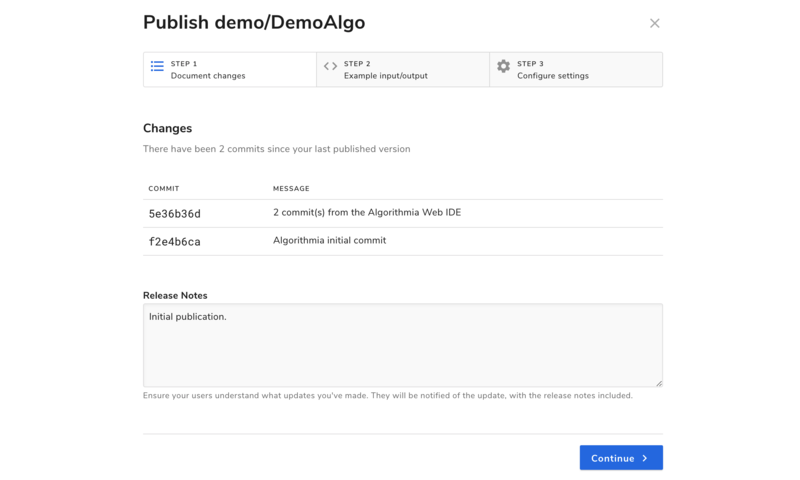 For more detailed information on how to work with data see the Data API docs and learn about Algorithmia’s Hosted Data Source.